Side note: several years ago Kayla caught me talking in my sleep, muttering something about “you’ve got to check the boxes!” This is the actual dialog and process in question. Full credit to Jeremy Jameson at MSDN. Posting in case the original disappears. 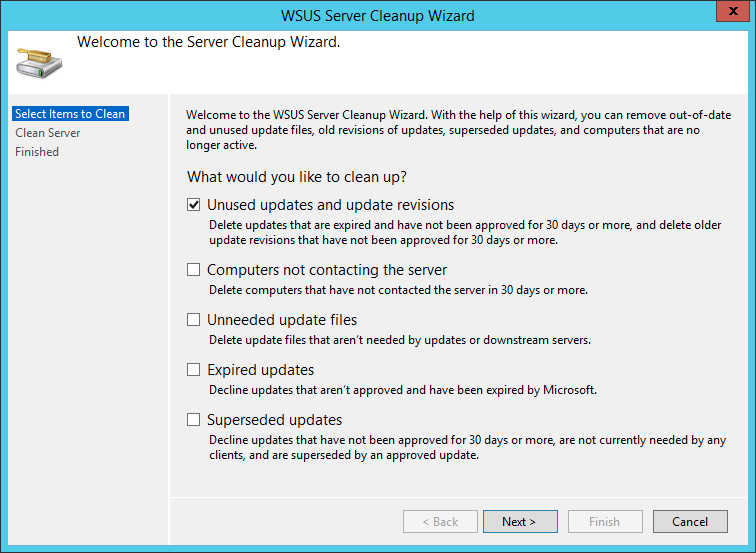 Once finished, run the wizard again with only the “Unneeded update files” (option #3) box checked. Once that’s finished, run the wizard with all the boxes checked.